RSVP for the Closing Party & Foosball Competition on June 17! Exclusive merch including Parquet Courts Football Club pins and soccer scarves. Extremely limited free Total Football zines by A. Savage. Albums for sale including signed copies of Total Football 7", which features panini sticker-book style sleeve art by A. Savage. Parquet Courts Football Club pins & soccer scarves. featuring panini sticker-book style sleeve art by A. Savage. 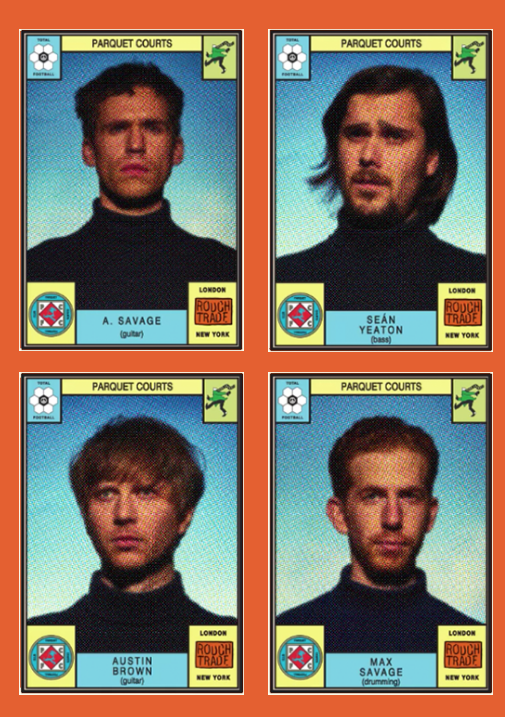 Exclusive merch Available- Parquet Courts Football Club pins and soccer scarves.